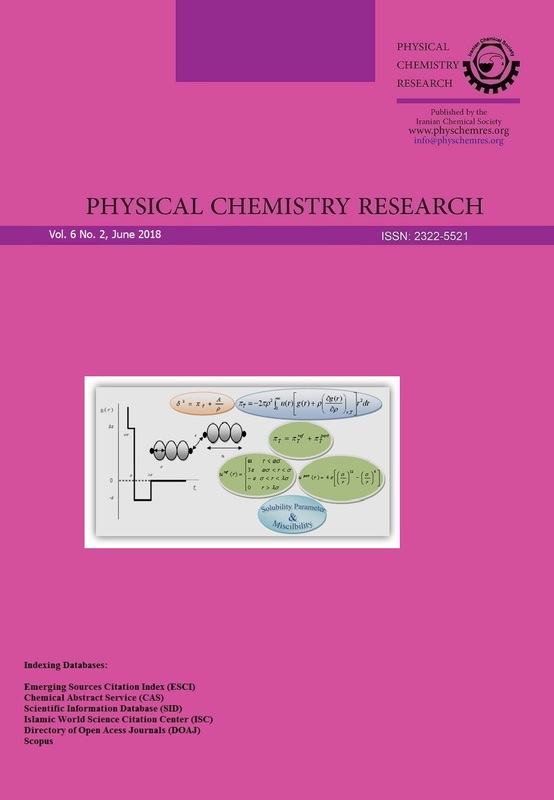 In this work, we develop a correlative model based on the surface tension data in order to calculate thermodynamic parameters, such as interaction energy between components (Uij), activity coefficients and etc. In the new approach, by using Li et al. (LWW) model, a three-parameter surface tension equation is derived for liquid mixtures. 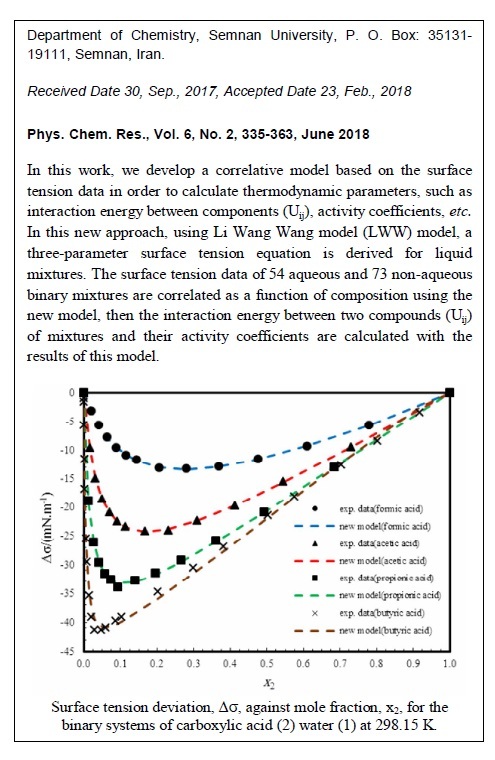 The surface tension data of 54 aqueous and 73 non-aqueous binary mixtures have been correlated as a function of composition using the new model, then the interaction energy between two compounds (Uij) of mixtures and their activity coefficients have been calculated with the results of this model. The average relative error obtained from the comparison of experimental and calculated surface tension values for 127 binary systems is less than 2.8%.In order to evaluate new method, the obtained values using this method were comparable with the results of the UNIFAC group contribution model.